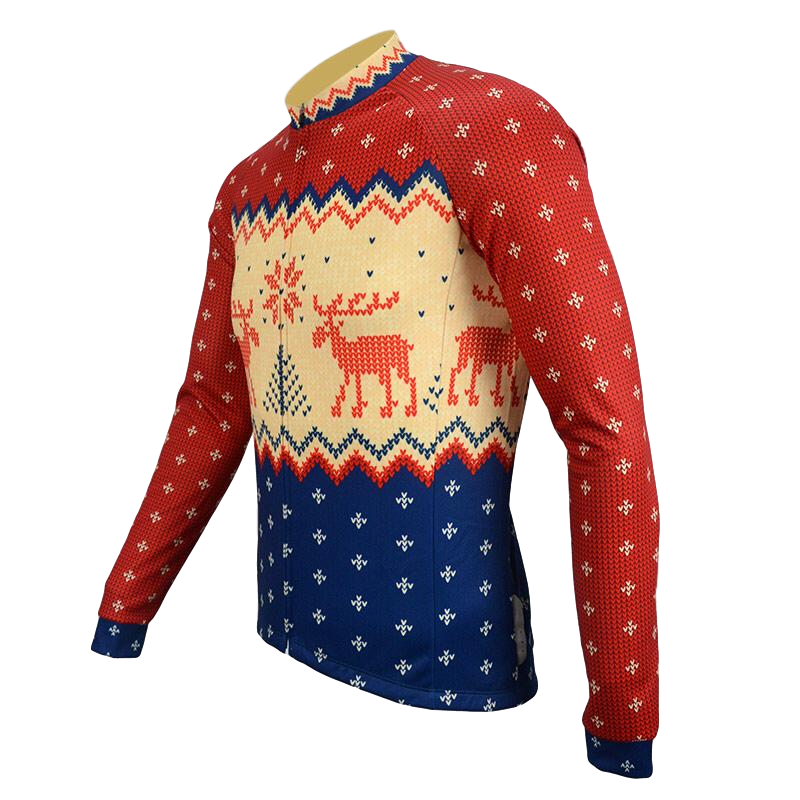 Men’s Christmas Jumper cycle jersey, taken from a traditional Christmas pattern and printed to look like a traditional sweater. 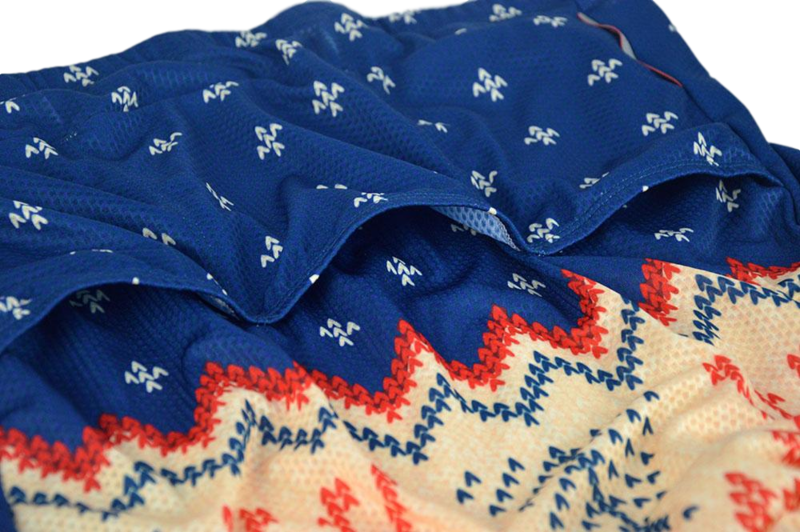 Keep insulated this winter and get out in the colder conditions with our thermal cycle top. 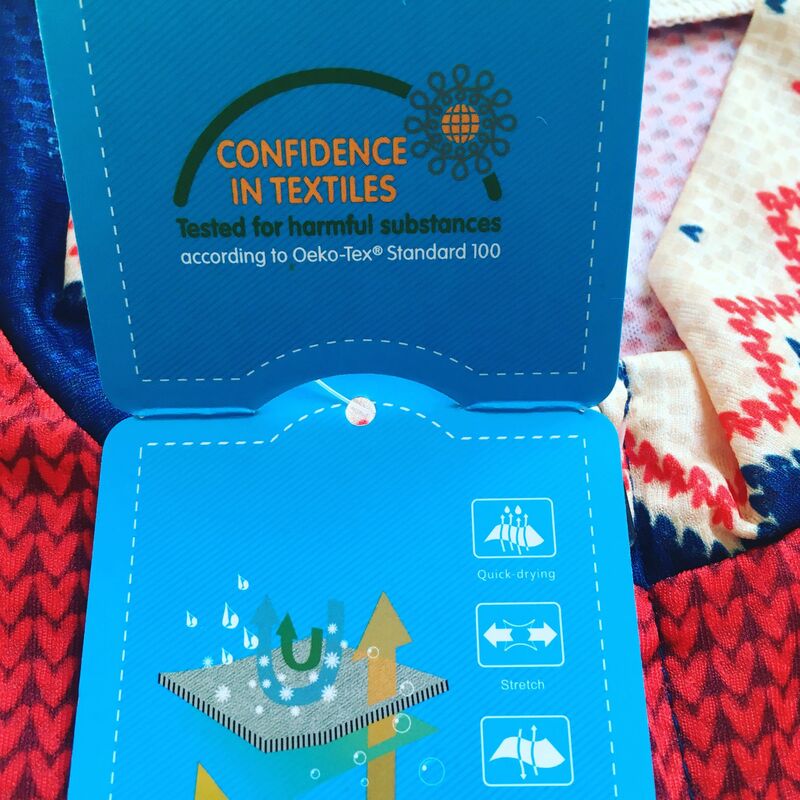 🎄 Confidence in Textiles - Tested for harmful chemicals. 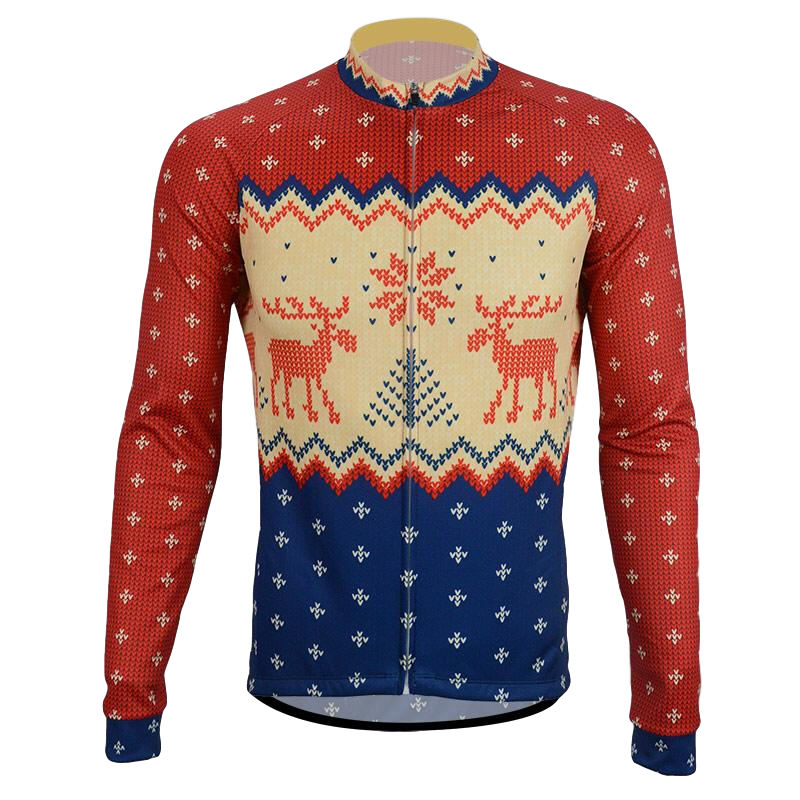 🚴 Breathable polyester fleece. Keep insulated.